This ready-to-use acrylic binder is ideal for producing your own acrylic colors in small batches. Just add dry pigment to the binder and mix with a palette knife, using a simple mixing ratio of 1:2. No longer will you need to produce large quantities of colors. Now it's simple to make new and fresh colors as you need them! 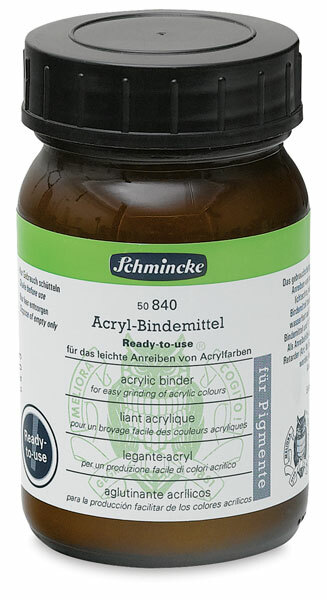 The acrylic binder is lightfast, non-yellowing, and can be thinned using water. Blend pigments with retarder prior to adding the binder in order to slow down the drying process. This binder contains pure acrylic dispersion and a wetting agent.